Relocating? 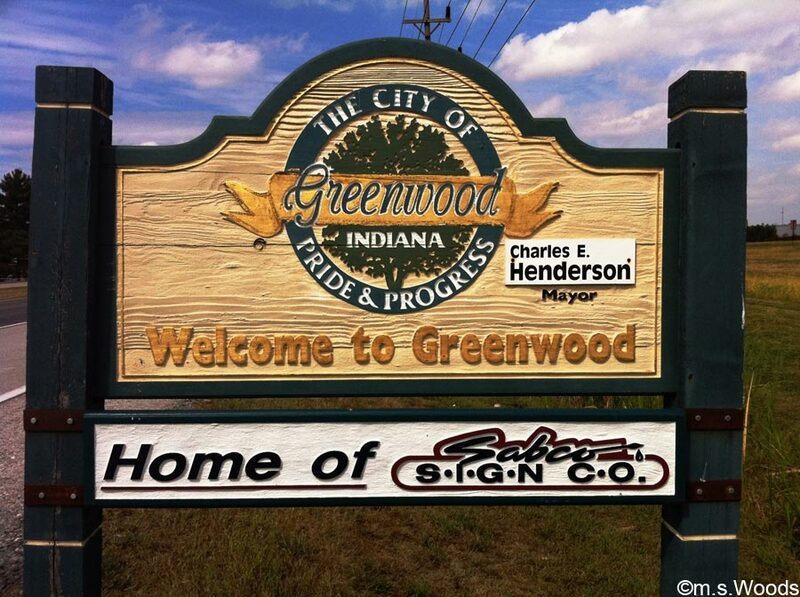 Learn about Greenwood Indiana. 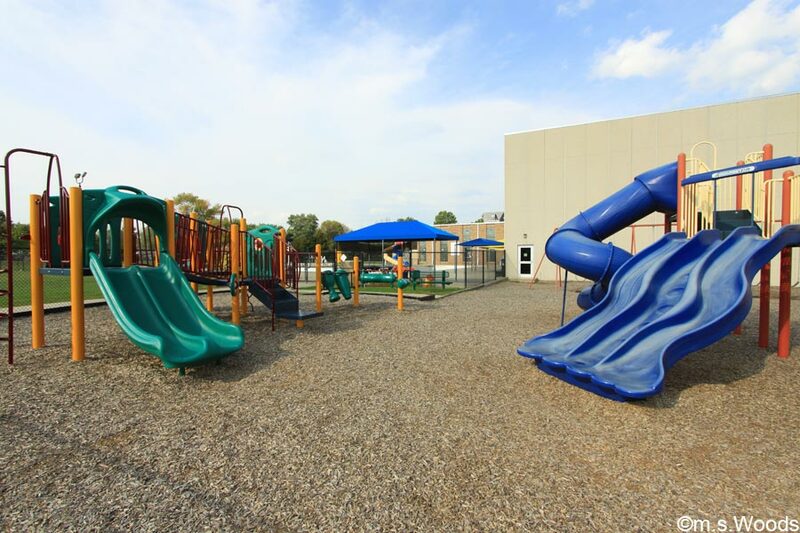 Located in Johnson County, just 15 minutes south of downtown Indianapolis, the city of Greenwood enjoys an excellent reputation as a very welcoming, family-oriented community, one which offers a comfortable suburban lifestyle. Five interchanges connect the Greenwood area with Interstate 65, a major highway that connects immediately to Indianapolis, and ultimately leads to such popular destinations as the Gulf of Mexico, Nashville, Louisville, and Chicago. Greenwood is also 20 minutes from the east-west interstates, I-70 and I-74. 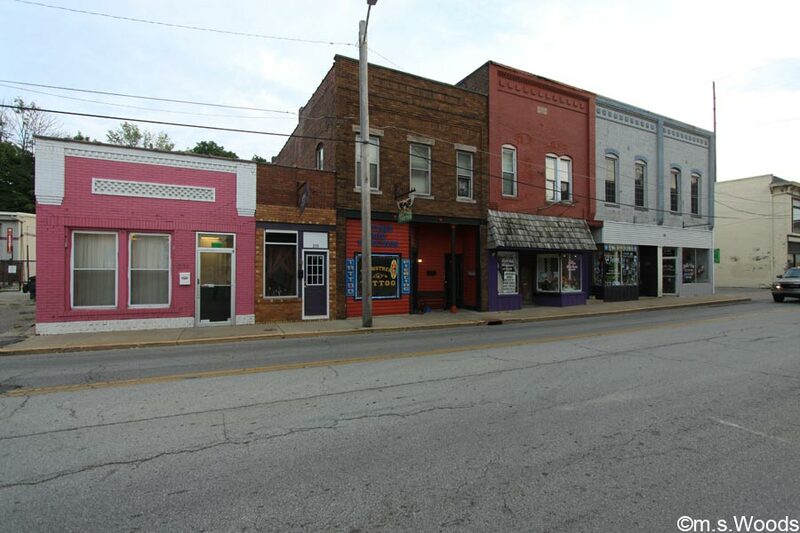 While some parts of Greenwood are older, there has been a lot of commercial and residential development, the result of which has made Greenwood a big contributor to the Central Indiana economic corridor, with an impressive selection of shopping, dining and cultural and recreational events. The city is home to the state’s second-largest enclosed shopping mall. Greenwood is home to a number of fun attractions and things to do, from movie theaters to parks. Here is just a small sampling of Greenwood attractions. 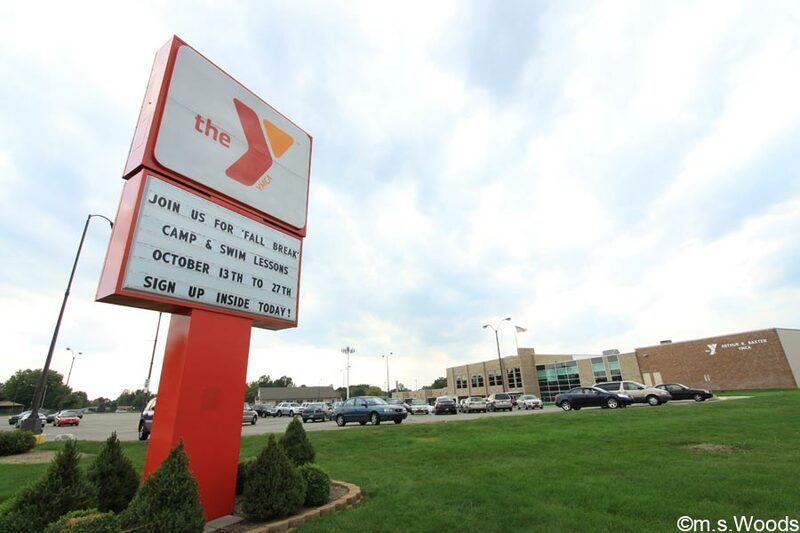 The technically located on the far south side of Indianapolis, at 7900 S. Shelby Street, the Baxter YMCA is a mainstay for many Greenwood health and recreation enthusiasts. 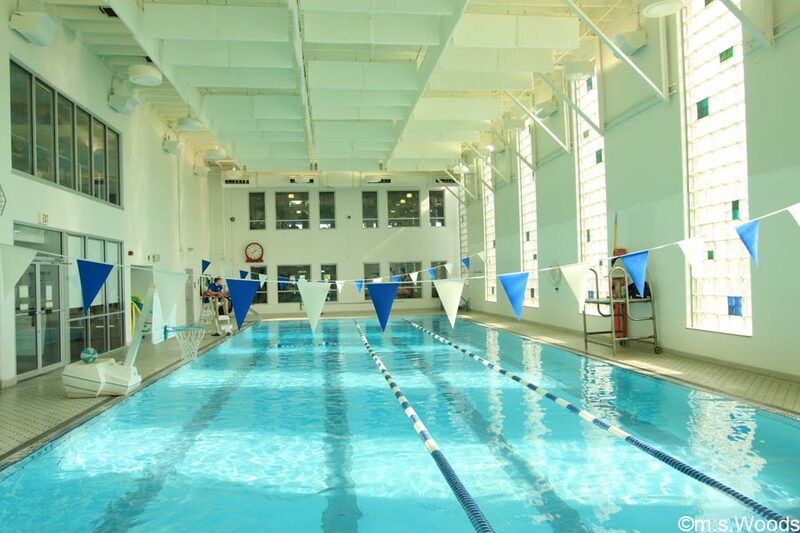 The facility offers a number of amenities, such as a large, indoor pool for swimming laps (pictured above). The club also offers both individual and synchronized swimming lessons. 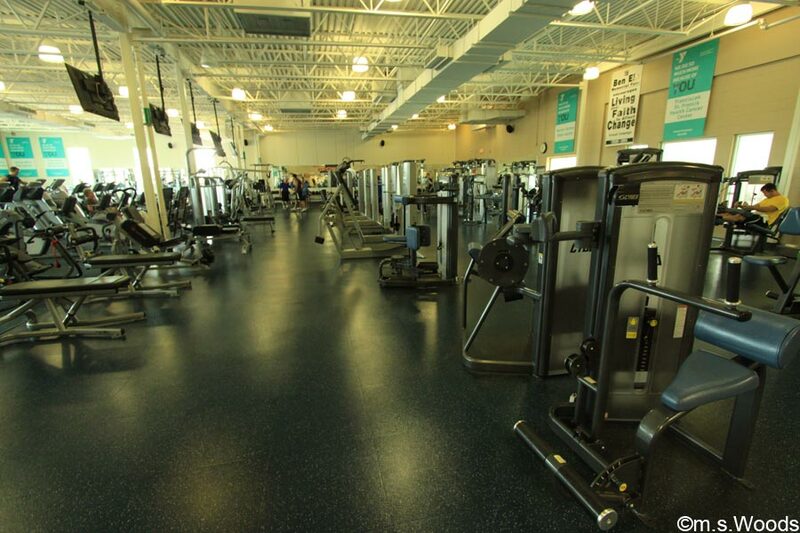 A huge fitness room, with virtually every type of exercise machine known to man can be found on the second floor. 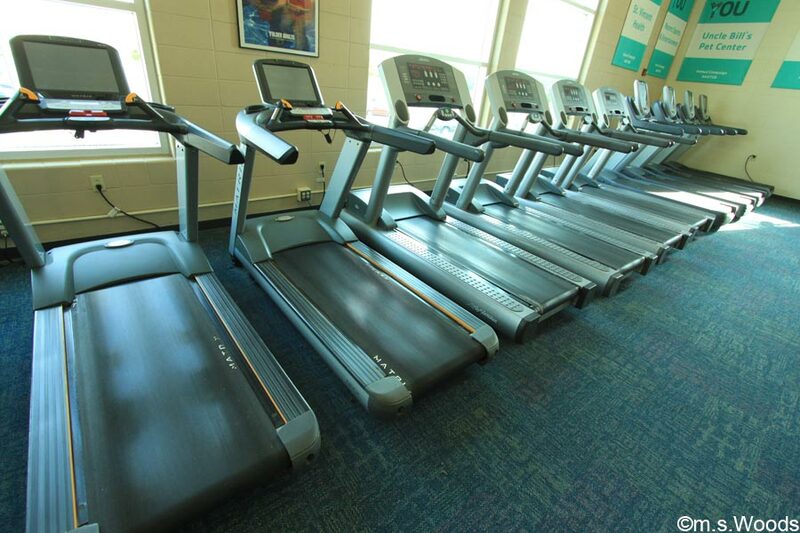 There’s nothing quite like a treadmill to get the heart-a-pumpin! 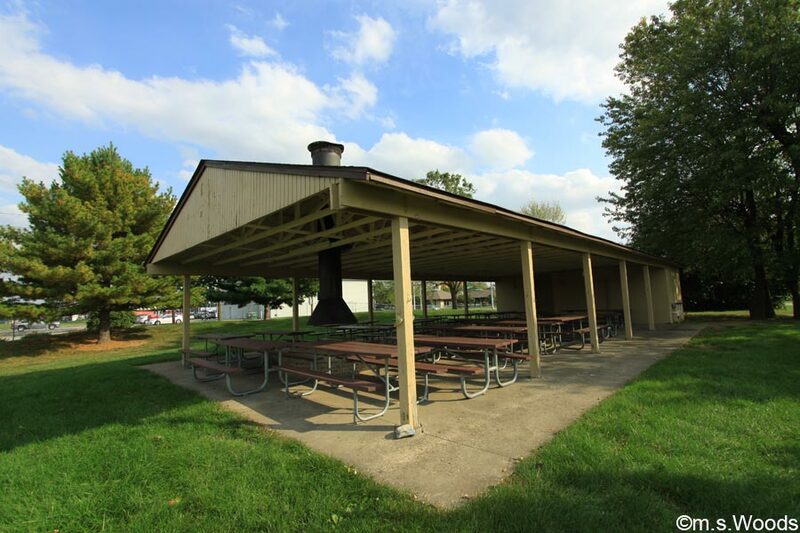 Outside, YMCA members enjoy access to a large picnic shelter. 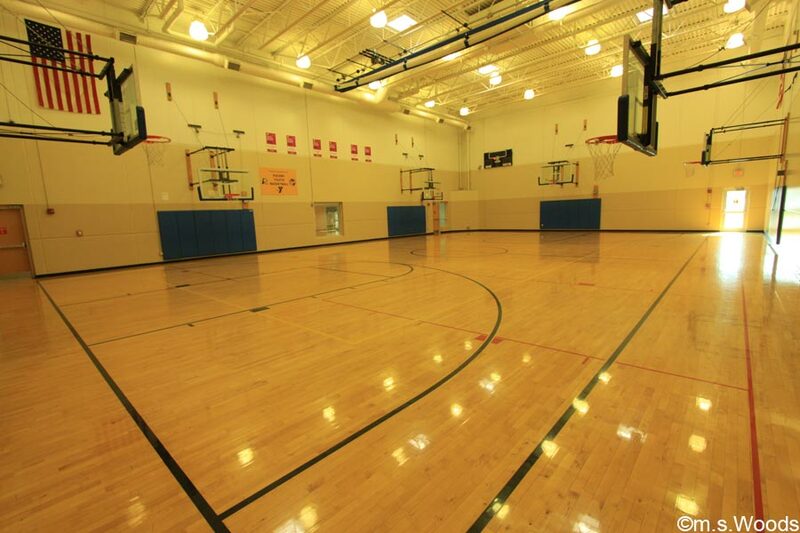 Basketball courts are one of several amenities offered by the Baxter YMCA. An outdoor play area is great for parents with young children. Located in the Greenwood Corner Shopping Center, at 1848 E Stop 13 Road, Indianapolis, is the Cinemark Movies 8 movie theater. The theater offers 8 screens, and even shows 3-D movies. 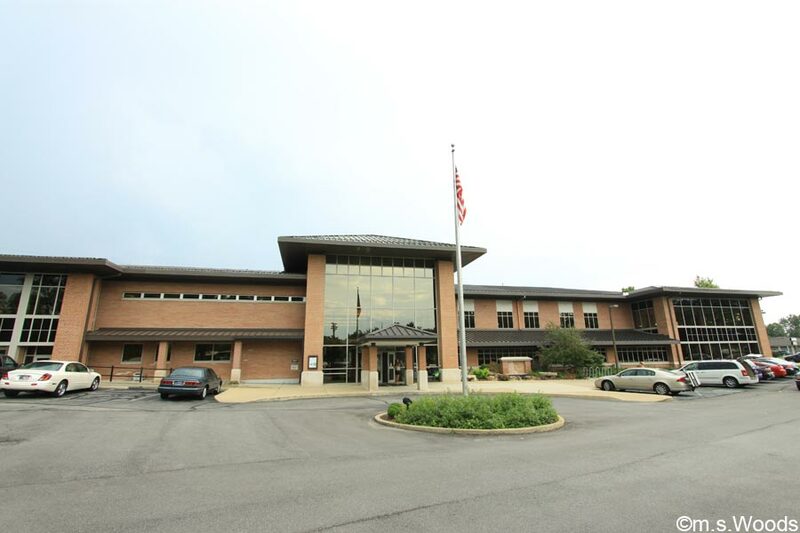 The Greenwood Library is located at 310 S Meridian Street. The library has been around for many years and has been an integra part of the community. It’s a nice place to relax with a large volume of of magazines and books. 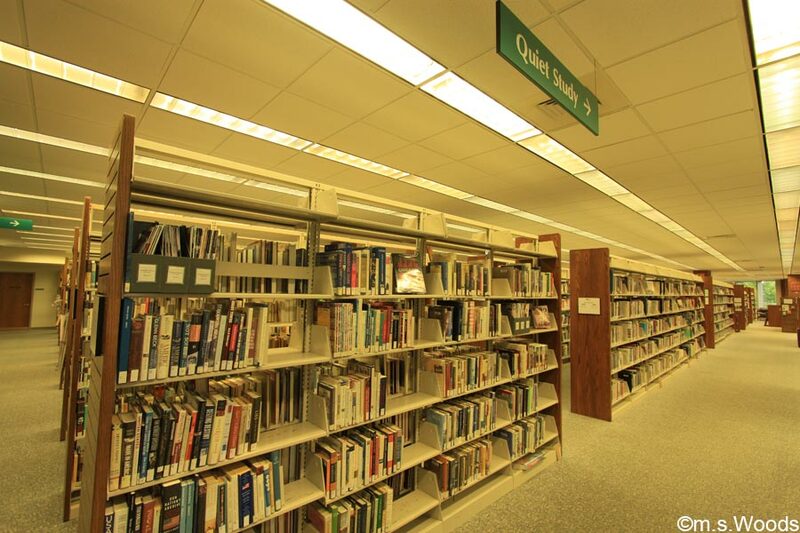 A tip for new visitors to the library: They sell used books all year near a small area near the main entrance, across from the main check out desk. 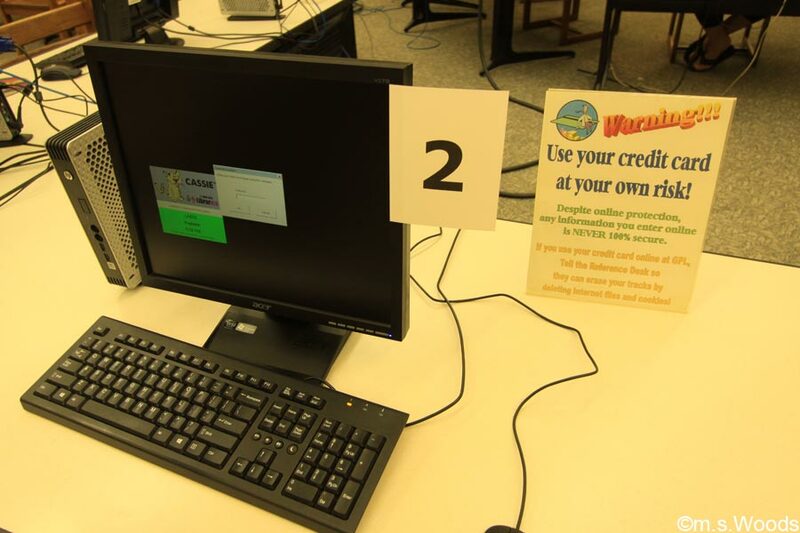 The library offers a litany of programs for everyone, including several adult programs on such subjects as cooking, gardening, art, technical/computer classes, as well as games. In addition, there are many free events that take place throughout the year, such as Pilates classes, book clubs, and craft nights, etc. 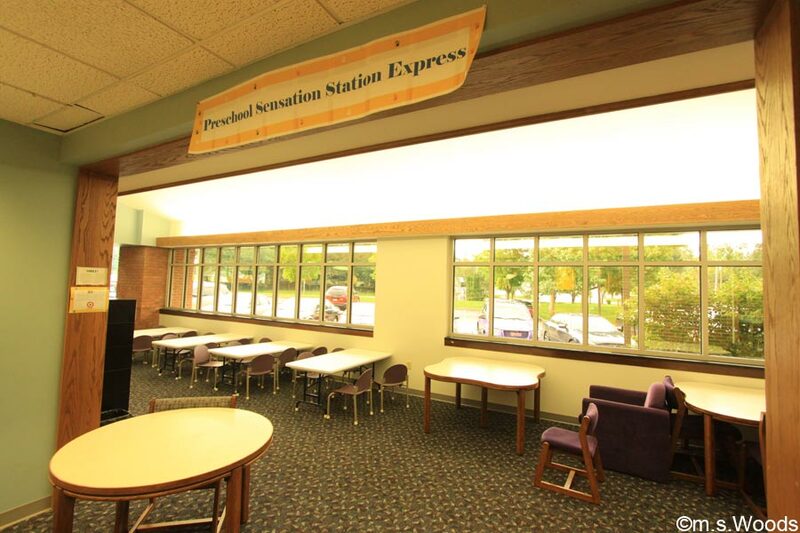 A special area called the “Preschoool Station Station Express” is designated for preschool educational activities. 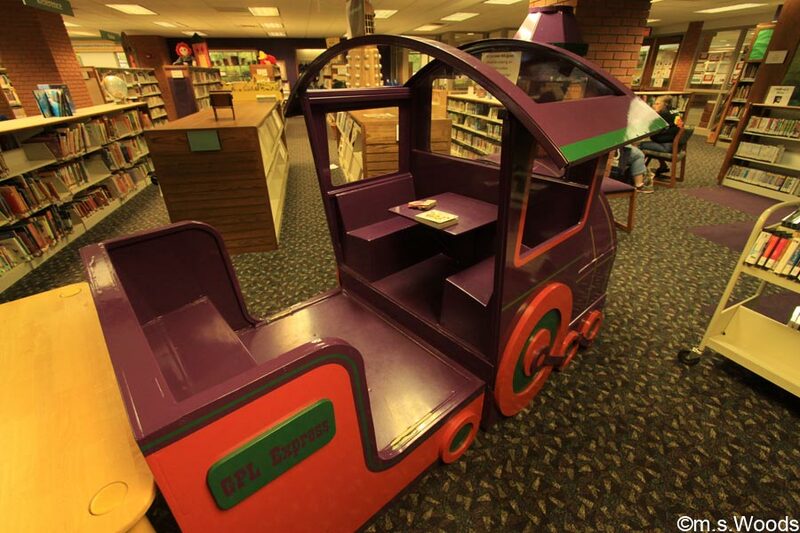 Fun, kid-friendly features like a faux-train reading booth (pictured above) make reading and learning an enchanting experience. Computers are available for web surfing. They also offer various online features which patrons can use to look up book availability, as well as accomplish other tasks, like extending check-out times, and signing up for monthly events. 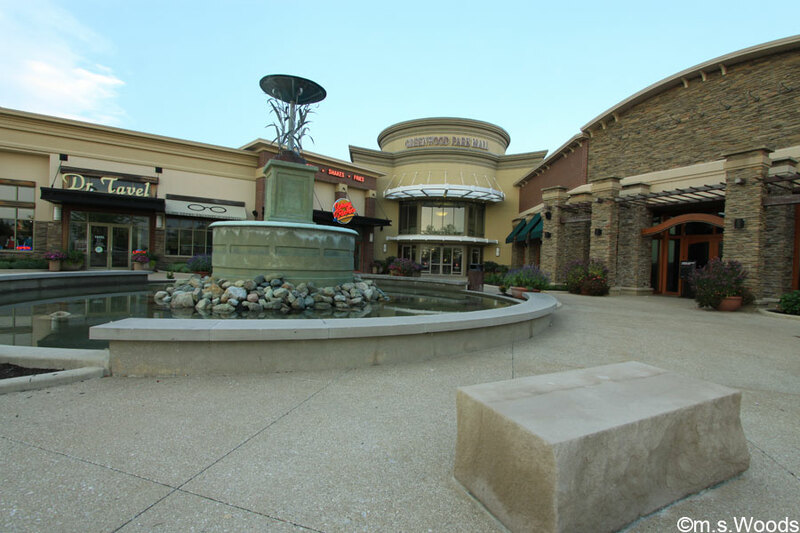 Located at 1251 Hwy 31 North, at the intersection of US 31 North and County Line Road, the Greenwood Park Mall offers a nice mix of indoor and outdoor shopping and dining, and serves as an economic anchor for the south side of greater Indianapolis, including the nearby communities of Greenwood, Whiteland, Franklin and Center Grove. The mall was renovated a few years ago and Simon Properties has worked hard to bring in some higher-end stores. 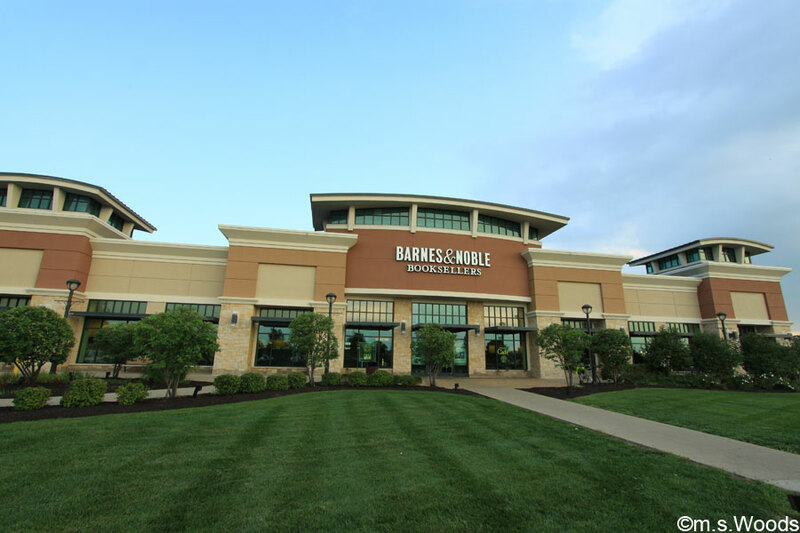 Over 150 retailers can be found inside, including such recognized brands as Von Maur, Macy’s, JCPenney, Forever 21 and The Buckle. 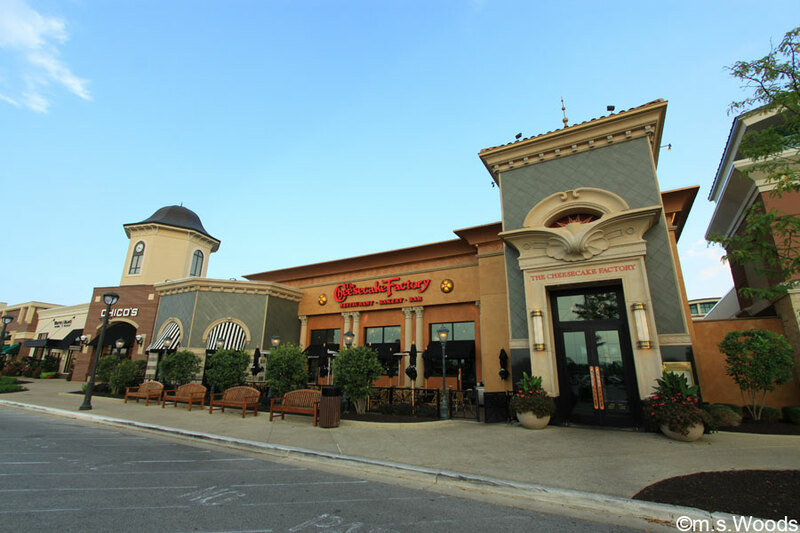 Restaurants like Bravo, Cheesecake Factory and BJ’s Restaurant & Brewhouse are just a few examples of dining options at the mall. 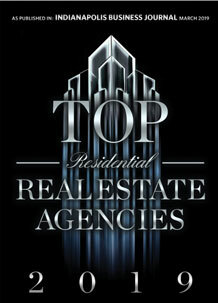 Other popular stores include Barnes & Noble, House Black Market, Jared The Galleria of Jewelry, Chico’s, Jos. A. Bank, and Shi by Journeys, to name just a few. 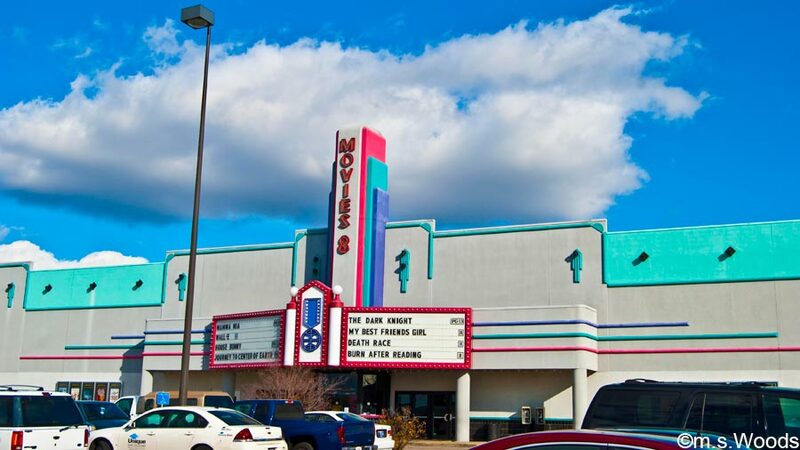 The Regal Stadium 14 Movie Theater is located at 461 Greenwood Park Dr South. One cool feature: The Regal King Size Recliners are a comfortable and spacious way to rest and relax, while becoming immersed in the movie. 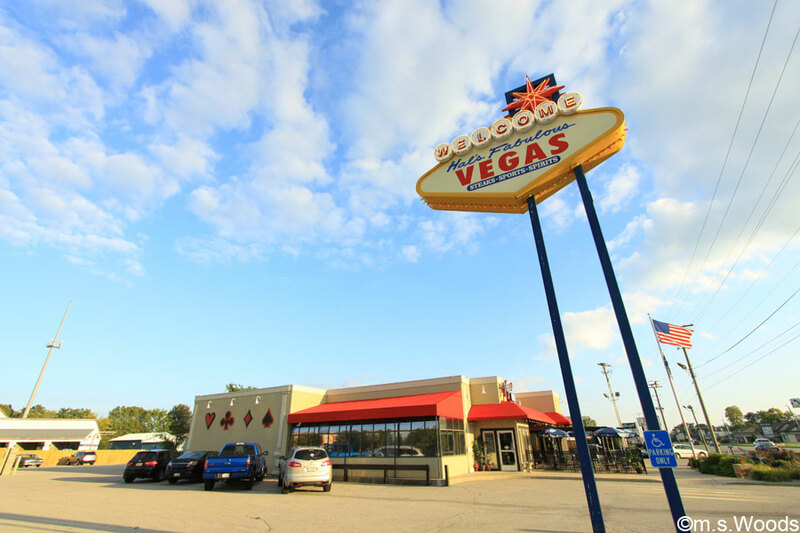 Located at 1010 US-31 in Greenwood, Southern Bowl offers 40 lanes of bowling, including them nights, such as “Cosmic Bowling.” Other amenities include automatic scoring and on-site catering. The city of Greenwood is somewhat of a golfer’s haven, with high-caliber courses designed for every level of experience, including Dye’s Walk Country Club, which represents the the first nine holes Pete Dye ever designed. Bluff Creek Golf Course an 18-hole public golf course owned by Scott Pedigo and Steve Coffman. It is located at 2710 South Old State Rd 37 in Greenwood. The course spans 6,500 yards from the longest tees, and has a reputation for being very playable for all skill levels. The course is complete with a driving range and putting green. The course offers a sets of tees, spread over 171 acres, and has the look and feel of a Scottish links course. The clubhouse is a convenient venue for hosting various events, like holiday parties, corporate outings, birthdays, anniversaries, etc. The upstairs banquet room has a dance floor and is set up for live bands. Other amenities include a fleet of golf carts, a pro shop, and private lessons. Dye’s Walk Country Club is a full-service private country club located at 2080 S State Rd 135. 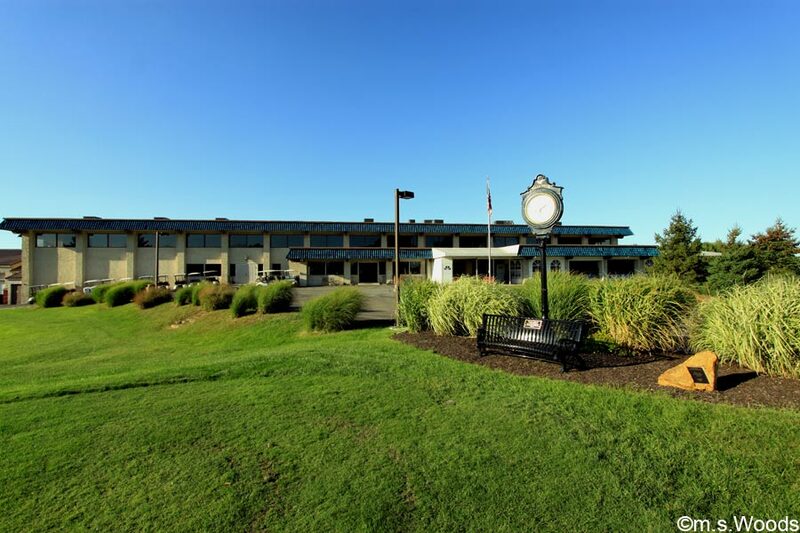 The club offers an impressive number of amenities, not the least of which is an 18-hole, par-71 course that features breath-taking vistas and great turf conditions. This is somewhat of a historic course, in that the back nine, which was built in the early 1960s, represents the “first design” by world renowned course architects Pete and Alice Dye. Other club amenities include a swimming pool, and several spaces suitable for events of all sizes, including a Grand Ballroom, Family Dining Room, “The Overlook,” which offers breathtaking views of the golf course, and The Lounge. This multifaceted venue is a nice place for outings, wedding receptions, family reunions and more. Otte Golf & Family Fun Center is a multifaceted venue that offers a driving range, putting green, golf course, batting cages, miniature golf, snack-bar, golf lessons, and club-fittings. It is located at 681 Sheek Rd in Greenwood. The miniature golf course offers a nice alternative to a conventional golf course. 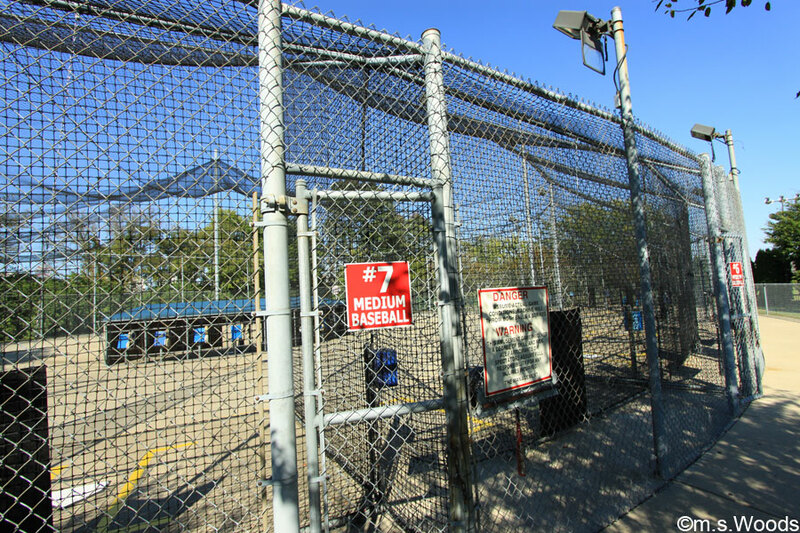 The batting cages are equipped for baseball and softball at various speeds. In addition to the driving range (pictured above) they offer an 18-hole, Executive Golf Course with both par 3’s and par 4’s. The course is lined with trees and bunkers on many of it’s holes. A snack/lounge area offers several tables, as well as various supplies and accessories. Located at 251 State Rd 135 in Greenwood, Orchard Golf Center is a par-3 course that offers a challenging course for players of all ages. The course is even well-lit at night. The miniature golf course offers several challenges, including some very “curvy” and rolling holes. Nothing is flat at all requiring you to play the break. A driving range is one of several amenities offered at Orchard Golf Center. The pro shop offers a very relaxing environment, complete with comfortable seating. They sell a full range of golf equipment and accessories from some of the top brands in the industry. Though Smock Golf Course is technically located at 3910 E County Line Rd, in Indianapolis, it is one of the most popular golf courses among Greenwood residents. It is a a publicly owned course that offers daily fee golf and a practice facility. It is a long course that is both very well-maintained and reasonably priced. Smock Golf Course also offers one of the largest and most popular junior programs in the area. Wide-open vistas, like the one pictured above, are commonplace at this beautiful course. A bar & grill is a nice place to take a break or end a round of golf. They offer a fully-stocked bar and all sorts of tasty food. The pro shop sells a variety of golf equipment and accessories. Located at 755 E Main Street in Greenwood, the Valle Vista Golf Club and Conference Center is family-owned and operated by the Kern family. 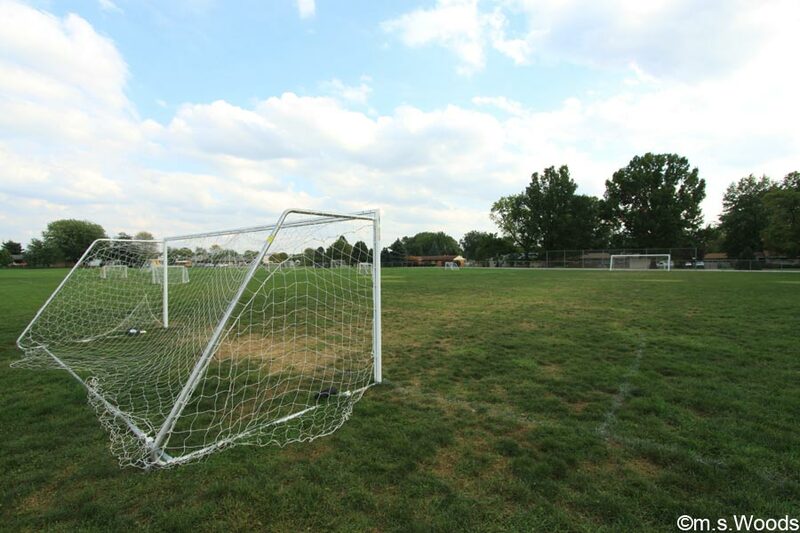 The club dates back to the mid-70’s, when it was built as a part of the larger Valle Vista residential development. The club features an 18-hole championship golf course, and massive 78,000 sq. foot Spanish style clubhouse, complete with elegant, imported blue tile roof. The course, which sits atop the highest point in Johnson County, is situated on over 130 acres, on what was once the old Polk Dairy Farm. 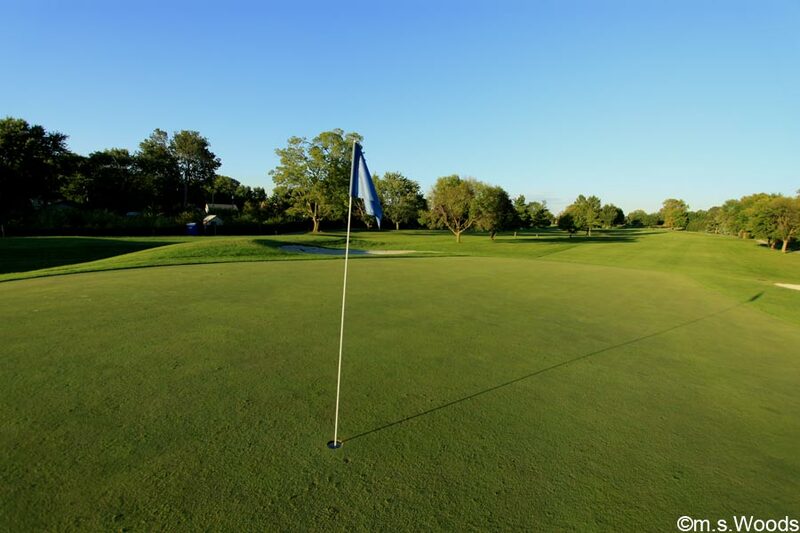 The course, which was designed by renouned Indiana golf course architect, Bob Simmons, is well-known for its elevated tees and greens, not to mention beautiful, lush green grass. 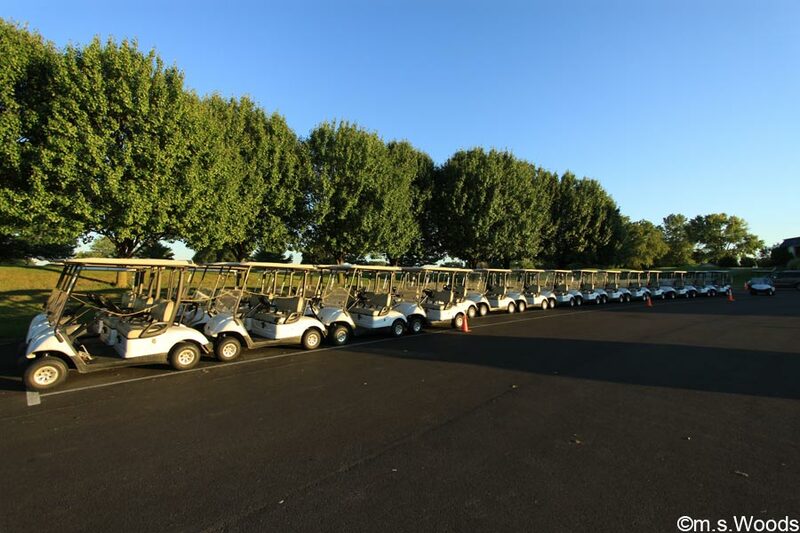 A sizeable fleet of golf carts are among the club amenities. 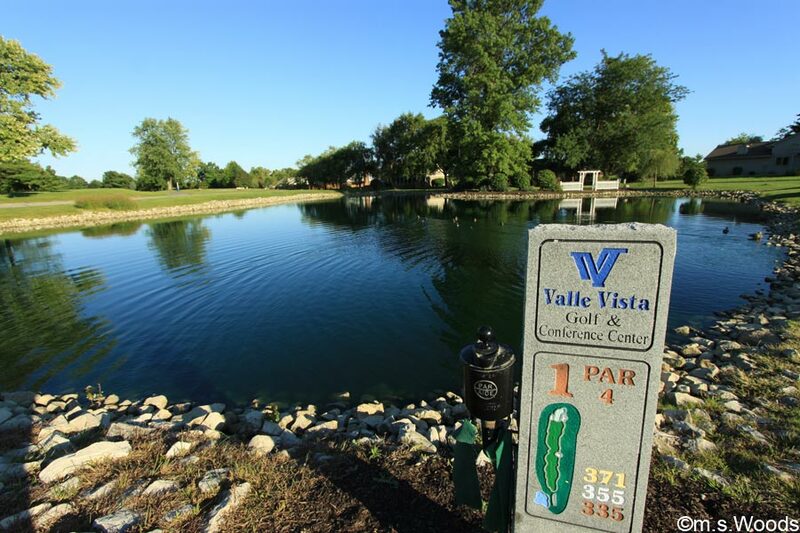 The clubhouse houses the Valle Vista Pro Shop, as well as the Valle Vista Banquet and Conference Center, the latter of which can accommodate over 1000 guests, and was voted the #1 wedding venue in the State of Indiana. 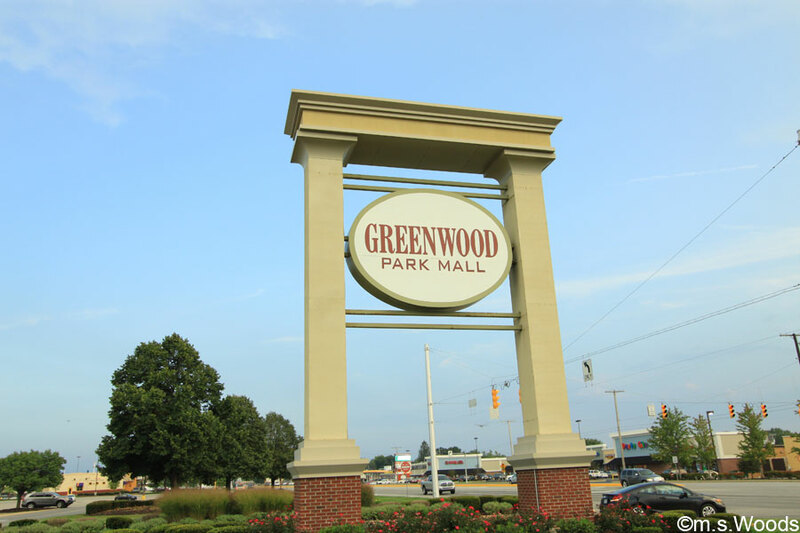 As might be expected for a city of its size, Greenwood is home to a number of local businesses, many of which are well-known on a national level, like Walmart, Target, etc. But it is the small, locally-owned businesses that speak more to the character of the community, since it is these businesses that are born of local community. Here are just a few examples. Blink and you might just fly past it. 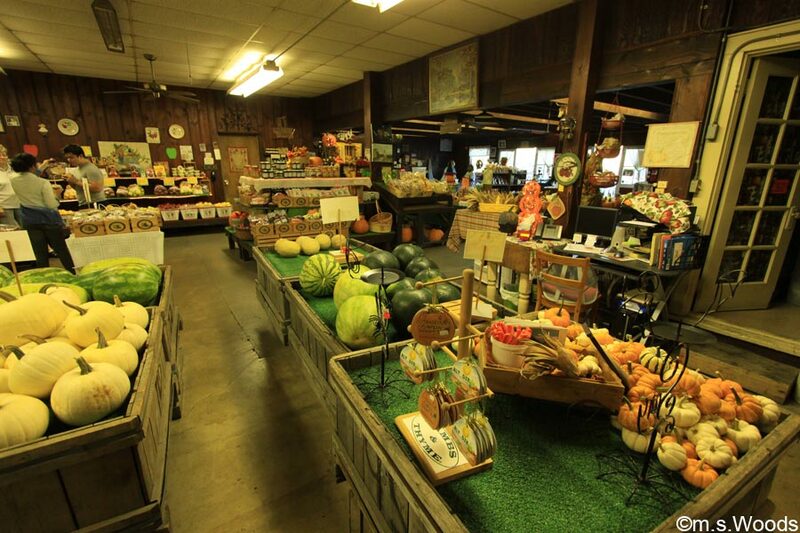 Located at 500 West Epler Avenue in Indianapolis, just outside the I-465 beltway, is a business with which Greenwood locals are quite familiar, called Adrian Orchards. 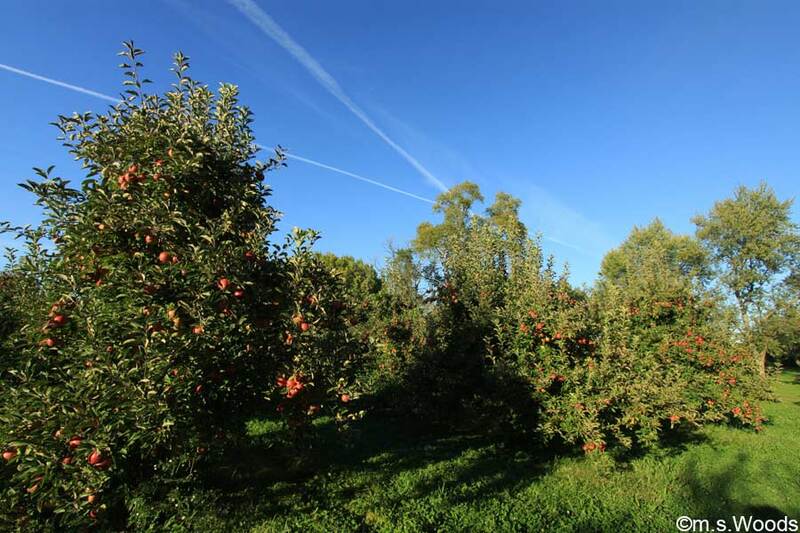 Adrian Orchards is very well-known for its pure, blended cider, which is in high-demand during the autumn season. All of the cider they sell is pressed from apples grown in their very own apple orchard. 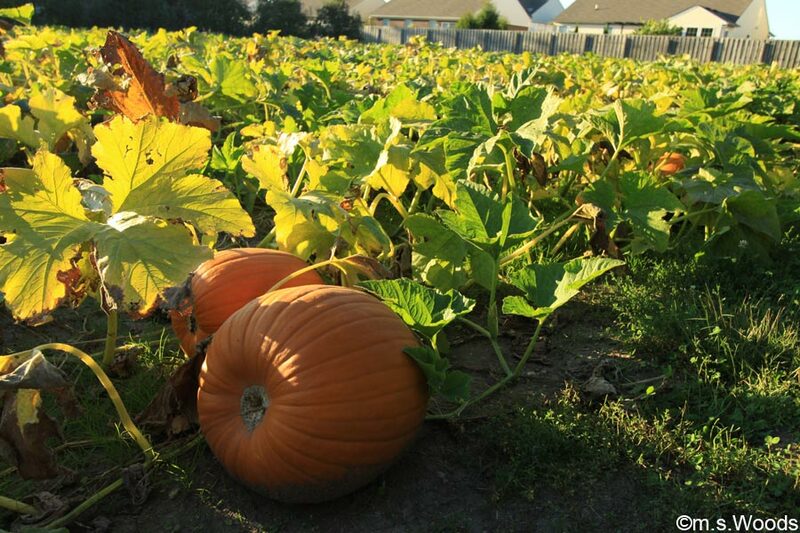 A small pumpkin patch and barn offer a welcomed retreat from the bustling metropolis. In addition to the cider, they sell a good variety of jams, jellies, preserves, apple butter, etc. Their products all bear the “Adrian Orchards” label. Adrian Orchards is a great choice for anyone in search of locally-made products. It’s easy to get to from downtown, and even easier to get to from Greenwood. Located at 1133 State Rd 135 is Hals Fabulous Vegas Restaurant.